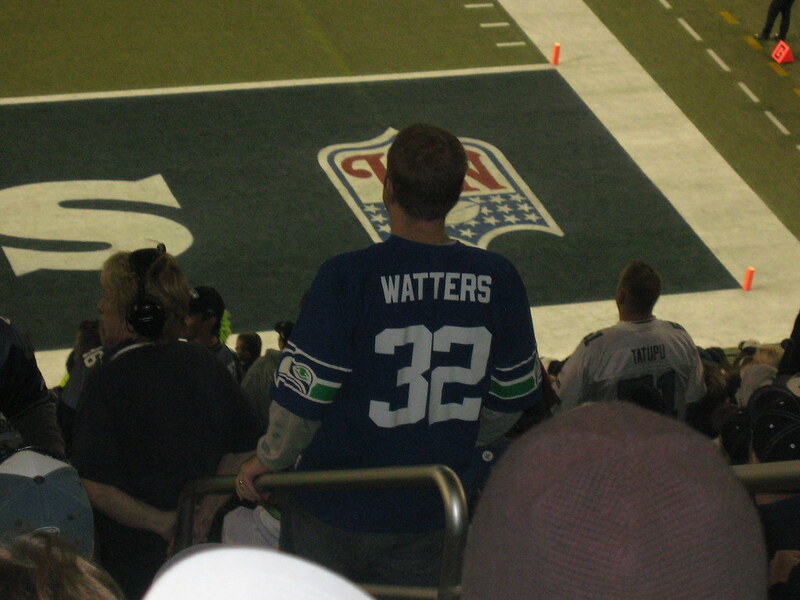 I may have been the only one in my section (and maybe the whole stadium) that knew to heap disdain on this fellow for sporting his Ricky Watters shirt. For who, Ricky? For what, misguided fan? Still, it’d be disingenuous to pretend that we weren’t all super-excited when the Birds signed Watters way back when. We all thought we needed the Marquee Feature Back (this bled into the Ricky Williams obsession at the ‘99 draft). Wow. Did we not get it even a little bit. The lesson here (as always) is that you cannot trust the braying masses of Negadelphia. Just don’t listen to us. At all. Also, I’d like partial credit for being a week ahead of the curve on the Nerdbirds (Seahawks) sucking. These guys are a mess; they make the Eagles look talented and composed by comparison. At least the fans on Sunday night had the good taste to actually boo the home team, though most of the vitriol seemed unfairly focused on Shaun Alexander. People, don’t get down on Shaun Alexander! Can’t you see that he’s completely done and shouldn’t be on the field in the first place? Hasselbeck and Holmgren — those are the guys you should be hating. I mean, sure, Alexander looks kind of gutless out there, but if you were slow and past your prime, you’d look gutless too! In additional Qwest Field news, the falling camera affair was pretty amusing, though it took them a good long while to explain to us what the hell was going on. 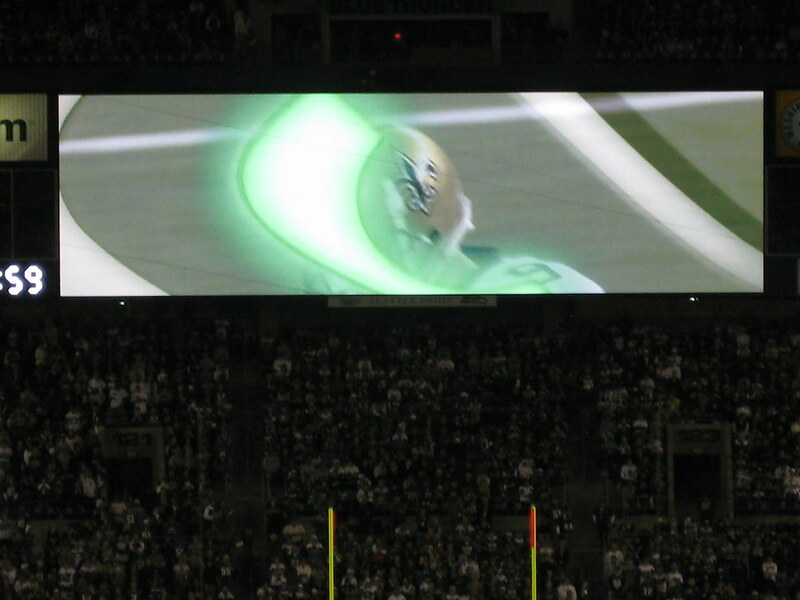 Also, the coolest part of the Qwest Field experience is the nifty Seahawk Eye thingie they do with the scoreboard; I can’t get enough of that.